Somali millitant group Alshabab has banned the use of the somali shilling currency in its areas of control and other Hiiraan districts following reports that fake notes had entered the market. Reports of fake currecy circulting Hiiraan markets in the Hirshabelle controlled towns raised panic among traders . The main economic activity of the region livestock was stitched to trading by the dollar in the headquersters on Baladweyn. Alshbab which controls mainly rural villages in the regiuon followed suit with the baning of the Somali shilling . Alshabab administration instructed traders and forex bureaus not to accept fake notes. The fake notes are alleged to have originated from puntland region. 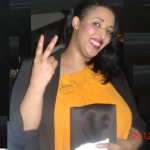 Hirshsabelle offcail accused Puntland of printing and sending fake money to the region .